March 2009 – Where On Google Earth? The first President declared United States National Monument, Devils Tower stand 1267 feet (386 m) above the surrounding Wyoming landscape. Thought to have been formed by intrusion of igneous material, there is still some debate as to how it was actually formed. However, there is no debate that it is a unique and breathtaking monolith. 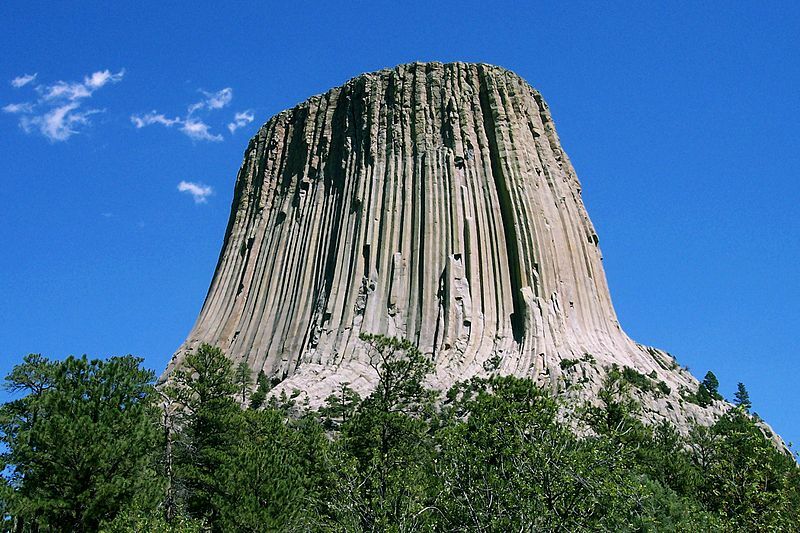 Movie buffs might remember Spielberg’s film Close Encounters where Devils Tower provided the backdrop. “Out in the Wash” is where Ewen has taken us for Contest #85, this image is one of two artificial islands off the east coast of England (only one is visible on Google Earth). The Wash itself is a large shallow estuary that is home to many protected bird sanctuaries. This island, also known as outer trials bank, was built as part of a water reservoir experiment back in the 1970’s. There is not much information available online, but here is a BBC video that explored more about it. © Image Copyright Ben Harris and licensed for reuse under this Creative Commons Licence. If you have given up on Contest #85, remember don’t throw this baby out in the wash.
Another relic of the Cold War, the Safeguard Program was the Anti-Ballistic Missile Program, and this complex in Nekoma, North Dakota was the only operational anti-ballistic missile system ever deployed in the United States. 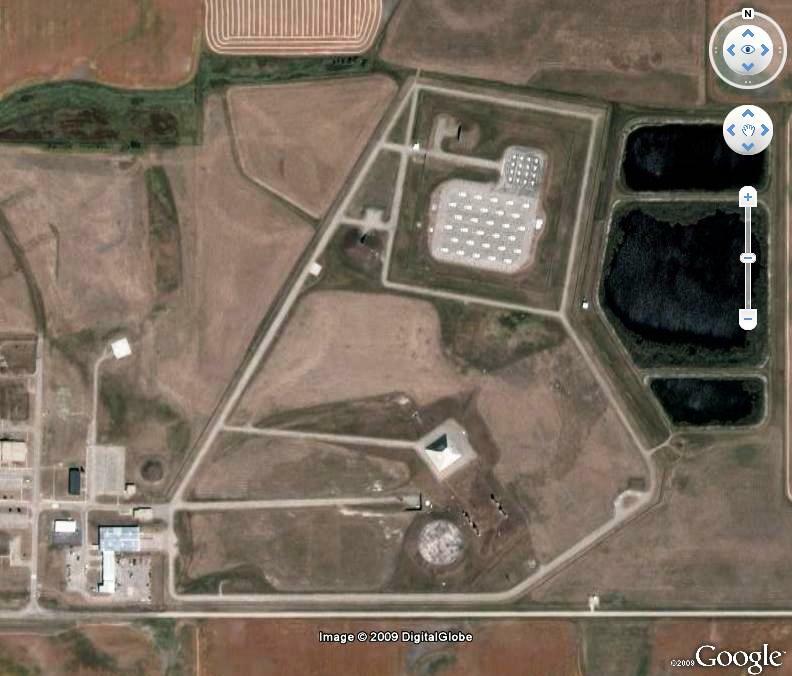 Dating back to the Sixty’s, this system was designed to protect missile silo’s, not necessarily the population, in the northern plains of the United States and thus preserve the ability to counterstrike. On Oct. 2, 1975, one day after the Safeguard program became operational, the House of Representatives voted to inactivate the system. The program continued for 4 months until it was shut down in February, 1976. Every time I think a Contest will be hard to find, you folks amaze me, maybe the hint was too much? For Future Contest, The Hint may come after a few days. Hint: Ewen has really challenged us with this image, if it doesn’t keep you safe from going Ballistic, you’ll never find it. Standing 150 meters tall, 900 meters long, and within the 30 km Chernobyl Exclusion Zone is the Massive Radio Antenna array known as Duga-3. This antenna was constructed by the Soviet military during the 1970’s as part of an Over The Horizon radar system. It became well known as the “Russian Woodpecker” because of the Interference that it caused on certain frequencies, it sounded like a woodpecker. The site is now a relic and since it is only 10 km south of the Chernobyl Nuclear Plant, there is some discussions about dismantling the Antenna before it rust and collapse causing a minor seismic event.